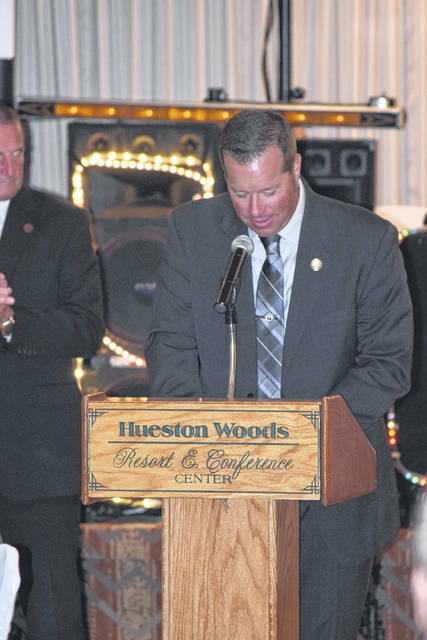 The 7th Annual Preble County Commissioner’s Charity Ball was held at Hueston Woods State Park Lodge on Saturday, Aug. 18. 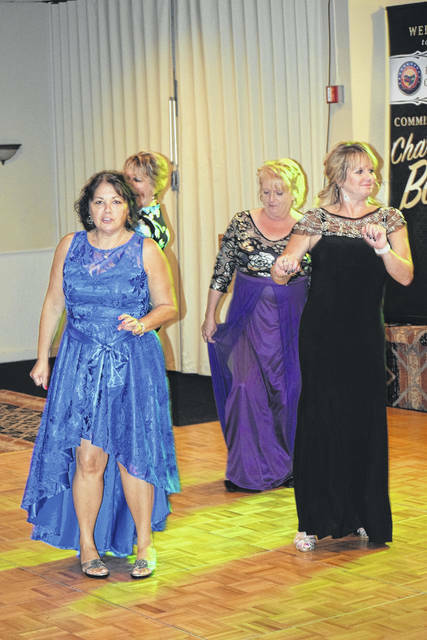 COLLEGE CORNER — The 7th Annual Preble County Commissioners’ Charity Ball was held at Hueston Woods State Park Lodge on Saturday, Aug. 18. 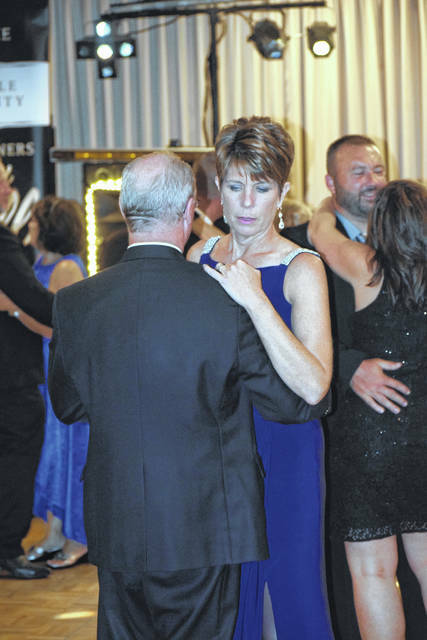 According to organizers, the mission of the gala is to raise awareness of the needs of the Preble County community. 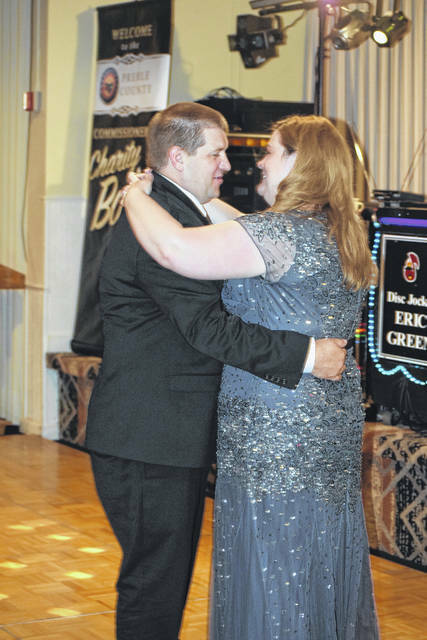 Four community agencies were selected and will receive the proceeds raised through this year’s gala event: Preble County Junior Fair Board, Miami Valley Youth for Christ, Preble County Art Association, and Preble County Meals on Wheels will all benefit. 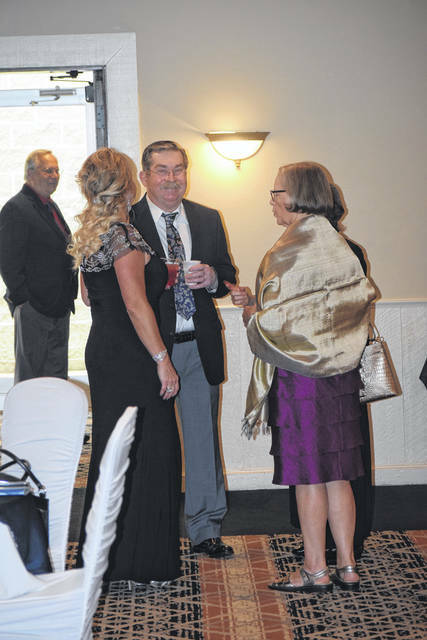 Each charity had its own booth on display at the event, so representatives could speak with attendees and discuss the organizations’ needs within the community. The Preble County Junior Fair Board is a group of young people who coordinate the activities of all Preble County youth organizations at the Preble County Fair. These young people not only gain valuable life skills through their participation in Junior Fair Board, but they also touch the lives of all Junior Fair exhibitors. By coordinating activities and events, the Junior Fair Board members help exhibitors showcase the project work done throughout the year and find satisfaction in a job well done. Junior Fair Board members also serve as role models for younger exhibitors, sharing the values of the Preble County community, according to commissioners. Youth for Christ helps local teenagers find positive direction, meaning, and purpose for their lives while building a strong foundation for life and positively impacting their schools. Since the vision of YFC is to see every young person experience the full life for which they were created, all teenagers are invited to take part in Youth for Christ activities. YFC partners with like minded businesses, organizations, churches, and individuals to work with high school and middle school students through a variety of means. YFC encourages students to live a balanced life – socially, mentally, physically and spiritually. However, the most dynamic aspect of YFC’s work are the teams of caring adult volunteers who live “life on life” with young people, listening to their stories, and sharing wisdom regarding life and faith. Together, these dozens of Youth for Christ volunteers work alongside YFC staff members to pursue YFC’s mission of “raising up life-long followers of Jesus,” according to commissioners. “We get to reach out to teenagers and walk along side them in life, guiding them ultimately to Christ. We go inside schools, do clubs in there, and teach on character building,” Ministry Directory for YFC in Preble County Crystal Placke said. “The funding will help us to reach more of the students. “We’ll actually be able to reach a different school thsi year, that we weren’t in last year. Tri-County North had to be on hold, due to funding, but we will be able to go into this school this year. Then we will provide more events for the kids, we’ll be holding a back-to-school bash this year. “It is amazing and a blessing to know that there are people who support what YFC stands for, and people who support the teenagers. 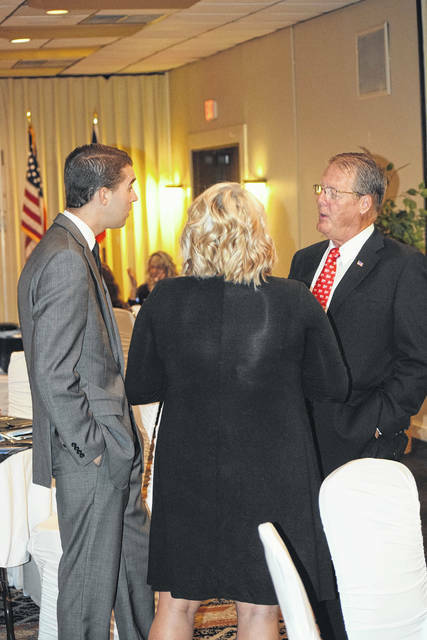 Our teens this day and age are so lost, so it is good to see that there are people who back that up and get behind this so that we can reach more teens so they are not alone,” Placke added. 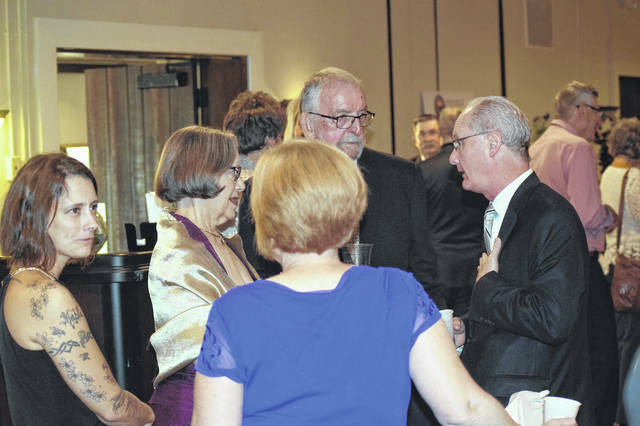 Preble County Art Association fuels creativity in Preble County, fostering a community rich in arts and culture. The PCAA does this by working with its members, stakeholders and partners to identify current community needs and voids. The PCAA creates unique opportunities to weave art into the community by engaging community members in culture and educational experiences. It is PCAA’s goal to strengthen the county through the arts and thereby create a community where people want to live, work, and play. Art classes are offered for youth and adults at the visual art center while outreach programs have been developed to serve at-risk teens, differently-abled populations, and seniors. Events, like Arts Night Out give opportunities to sample the arts and bring community together. 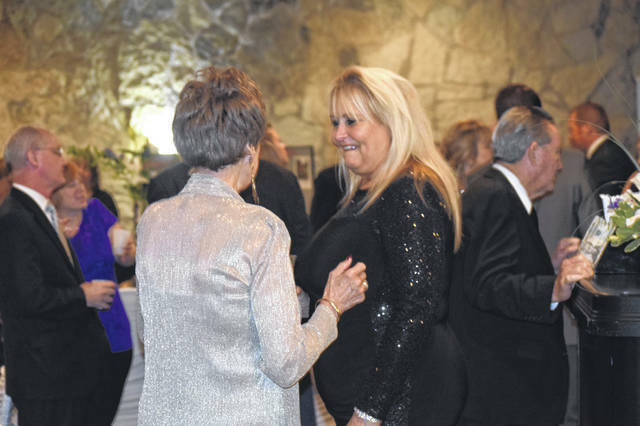 The PCAA has also focused on public art projects which involve these groups and include the wave wall at the ASK Playground, the pocket garden at the Bistro at Eagle’s Point, and the flower garden mural in downtown Eaton. 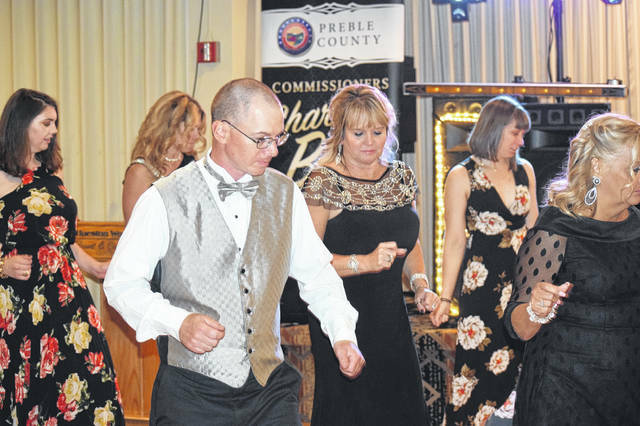 These programs, and more, build the quality of life for Preble County residents by offering culture, education, and entertainment, according to commissioners. ”We do a little bit of everything at the Art’s Center. 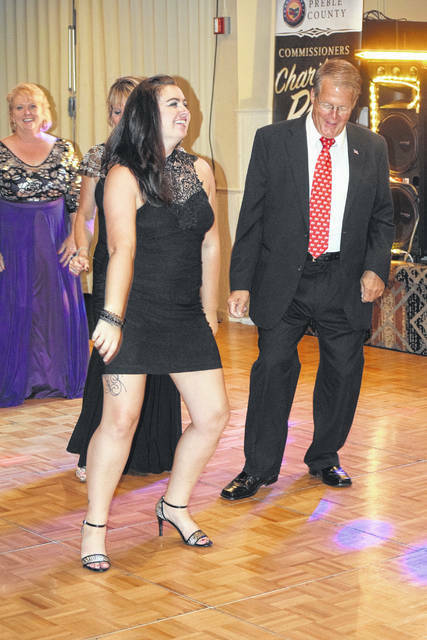 We were nominated by Commissioner Chris Day, he did an art event with us, called Bad Art, Good Folks and it is a fundraiser for us and he helped us out,” Education and Operations Coordinator at PCAA Kelsey Daugherty said. 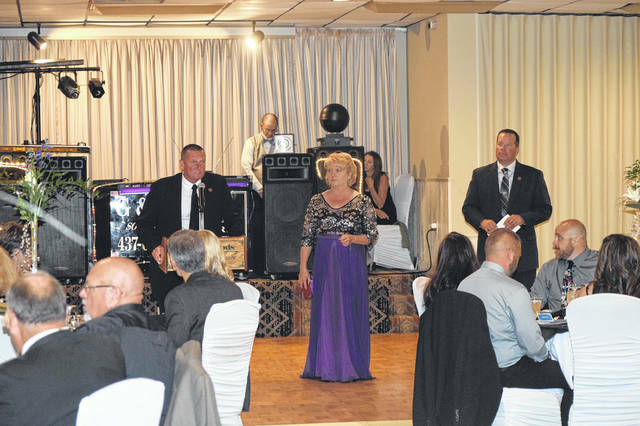 “This funding will help us tremendously. We are getting a new building right now, so it will help us that way. We are trying to grow and get more art out in the community. We have free classes we offer in the community, for kids who may not have the money. Projects go to the community in some way, so we are also spreading it that way, so any funding will help us spread the word and art. Preble County Meals on Wheels are provided to Preble County’s eligible seniors 60 years and older, by the Preble County Council on Aging (PCCOA). A freshly prepared hot meal that meets a third of a senior’s recommended daily intake is delivered each Monday through Friday. In addition to a nutritious meal, meal delivery provides a wellness check by a driver who is trained to respond to any emergencies that require immediate attention and to report any changes in the senior’s behavior or condition. Meal drivers provide individualized support for each senior meal recipient. The driver may help the senior by opening the meal or beverage, or they can also help in performing simple, daily tasks such as bringing in the mail. The recipients of the meals develop friendships with the delivery drives and look forward to the meal as well as the visit. Seniors who receive Meals on Wheels benefit from being monitored by aging professionals who can provide assessment, intervention, and referral when other services are needed. They also exhibit long-term benefits that include improvement in mental health, increased self-rated health, and reductions in the rate of falls, decreased feelings of loneliness, isolation and worrying about being able to return at home. The Preble County Council on Aging is the one stop shop for information and senior services. 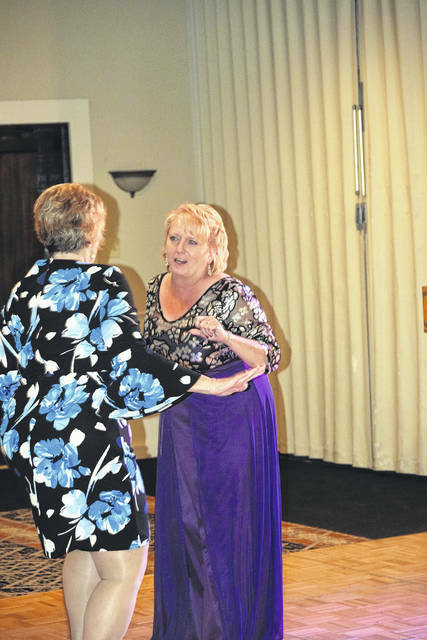 “Vital to our community, PCCOA provides Transportation, Meals on Wheels, Congregate Meals, Homemaking, Minor Home Repair, companionship and a variety of activities,” commissioners noted. 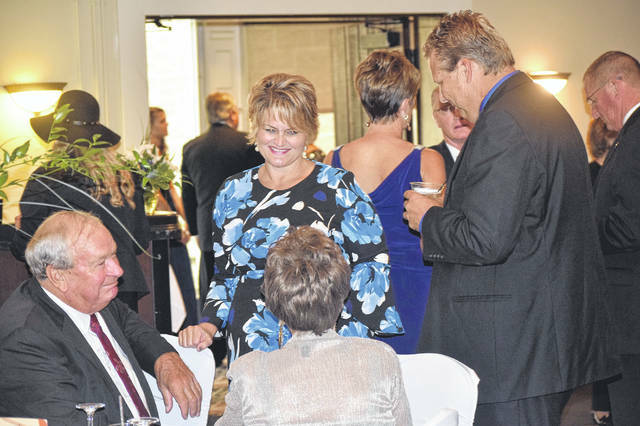 2018 event sponsors included: Presenting Sponsor T&M Associates, Platinum Sponsors Lawn Plus and The Register-Herald, Gold Sponsors Bullen, Silfex, and Reid Hospital, Silver Sponsors Beck’s Seed, Preble County Development Partnership, and Creech Farms, and Gala Sponsors Butler Rural Electric Cooperative, Clemans, Nelson & Associates, Inc., Hueston Woods, Roselius Insurance, Larkin-Cobb, and the Greenbriar Senior Living Campus. 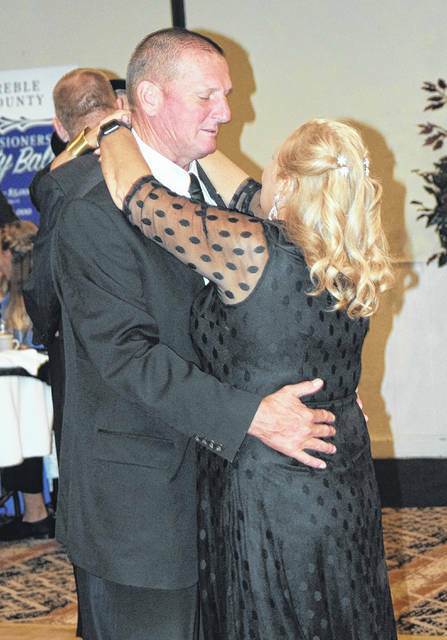 https://www.registerherald.com/wp-content/uploads/sites/41/2018/08/web1_Commissioner15.jpgThe 7th Annual Preble County Commissioner’s Charity Ball was held at Hueston Woods State Park Lodge on Saturday, Aug. 18.